- This Speaker is a fresh new bluetooth smart LED speaker light, allowing you to combine your light with music and control, both from your mobile device. - Compatible with most bluetooth wireless enabled devices. - The advanced acoustic technology delivers a clear and big sound. - Available for download from the App store, allows you can change the light brightness and music operation. 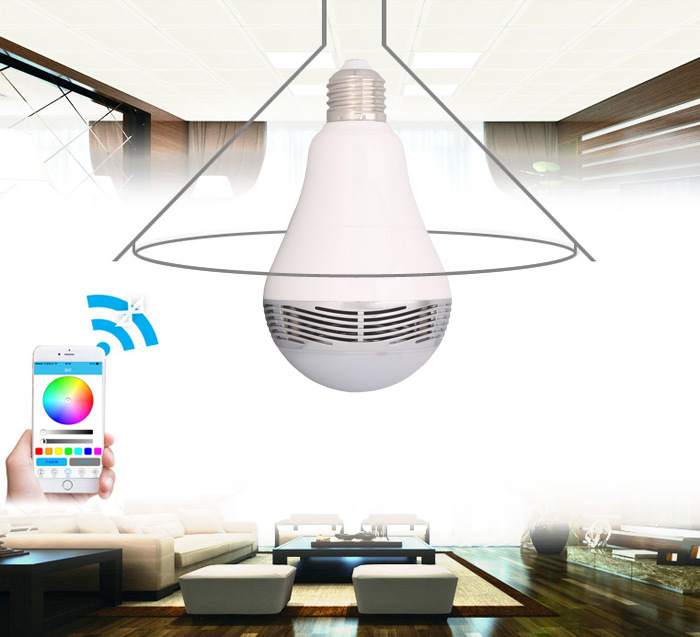 - The built-in bluetooth allows you to automatically pair your device for wireless transmission coverage. 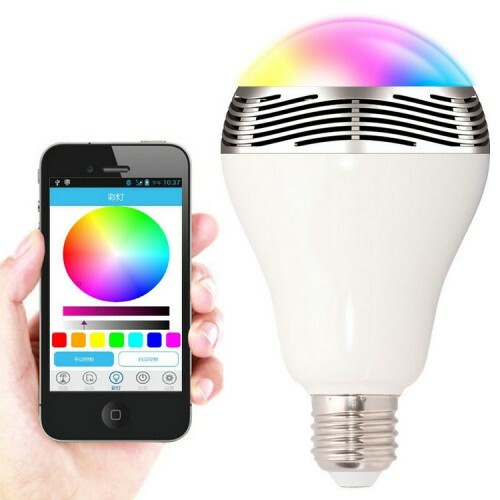 - This bulb is bluetooth enabled, multicolored, energy efficient smart led light that you can control with your smart phone or tabled with Android or IOS APP. - The APP is with timer, music player, warm light and color light control,you can install the APP program. - Compact appearance, same as an ordinary light bulb. - Fits into most light fixtures E27 screw base. - Compatible with most bluetooth enabled devices.